Peppa Pig episodes are great for 3rd-4th year primary school learners of English. 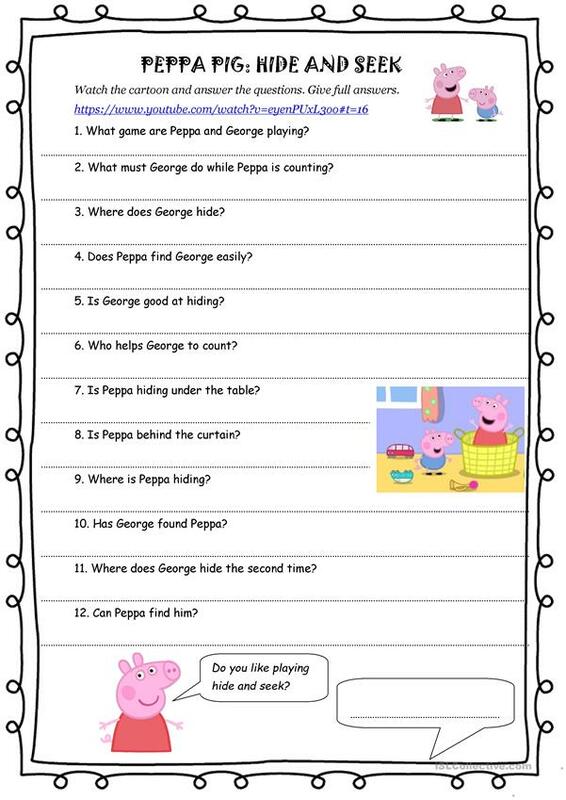 This worksheet serves both as listening comprehension and practice in answering questions. This downloadable printable is meant for elementary school students at Elementary (A1) level. It can be used for honing your class' Listening skills. 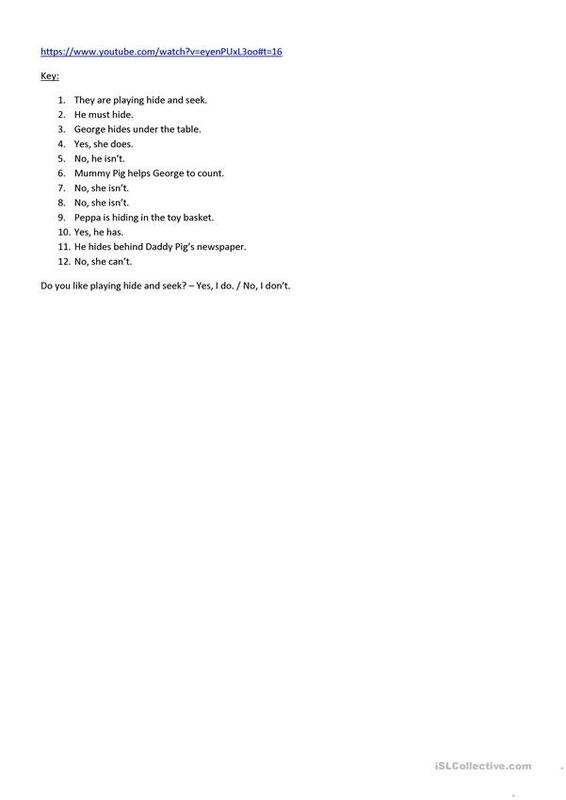 The exercises come with a key. Hi! I'm a teacher of English in Ukraine. I love ISLcollective for its special atmosphere and wonderful members who contribute really unique materials. I'm grateful to all of them for sharing their work. I also contribute to ESLprintables as UAHelen where you can see more of my worksheets.